33rd BATTALION AIF. "New England's Own"
Lieutenant Colonel. William Huggett DOUGLAS. V.D Engineer, Rockdale, N.S.W. 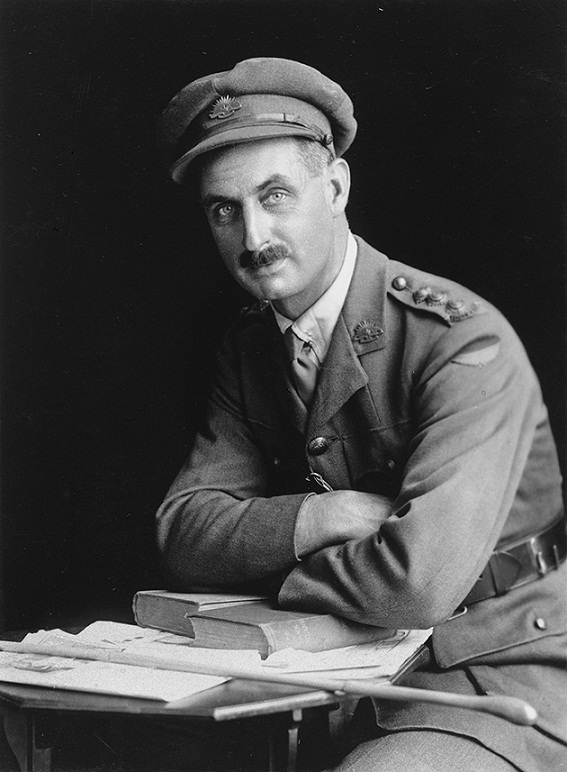 Lieutenant Colonel: Robert John Allwright MASSIE. D.S.O. Civil Engineer, Potts Point, Sydney, N.S.W. Lieutenant Colonel. Leslie James MORSHEAD. C.M.G D.S.O. WW2 Lieutenant General Sir Leslie Morshead. Lieutenant Colonel. Harold Fletcher WHITE. C.M.G D.S.O. Grazier, "Saumeres" Armidale, N.S.W. Major: Cedric Errol Meter BRODZIAK. D.S.O. Engineer, Double Bay, Sydney, N.S.W. Major: Walter John Clare DUNCAN. D.S.O & Bar MC & Bar Bank Accountant, Inverell, N.S.W. Major: Robert Austin GOLDRICK. M.C. (A Company) Bank Clerk, Parramatta, N.S.W. Major: Melrose Holtam MAILER. (Medical Officer) M.C. Medical Practitioner, Moreland, Victoria. Major: Soren Frank SORENSEN. Soldier, Australian Permanent Forces, Haberfield, N.S.W. Captain: William Johnstone BINNS. M.C. (Regimental Medical Officer) Medical Practitioner, Kogarah, N.S.W. Captain: 12991 (Chaplain) 4th Class. Walter Emra Kingscote BURKITT. Clergyman, West Maitland, N.S.W. Captain: Robert Furnifull CRAIGIE. (B Company Commander) Grazier and Farmer, "Craigie Lea" Armidale, N.S.W. Captain: Charles John DOIG. + M.C. (D Company Commander) Commercial Traveller, McMahons Point, N.S.W. Captain: William James GORDON. M.C. (C Company) Public Servant, Rose Bay, N.S.W. Captain: Wilfred Frank HINTON. + (A Company) Accountant, Wagga Wagga, N.S.W. Captain: Charles Henry LINKLATER. + (C Company) Wool Merchant, Woolstonecraft, N.S.W. Captain: (Chaplain) George Spencer RICHMOND. Clergyman, Woolstoncraft, N.S.W. Captain: James William SHREEVE. Soldier, Randwick, N.S.W. Captain: Leslie Charles Burnett SMITH. M.C. (B Company) Clerk, Rockdale, N.S.W. Captain: Thomas William TOLLIS. + (C Company) Clerk, South Ashfield, N.S.W. Lieutenant: Thomas Acheson ARMSTRONG. (A Company) University Student, Mackay, Queensland. Lieutenant: Stanley Bearby BATEMAN. (B Company) Civil Servant, North Sydney, N.S.W. Lieutenant: 1470 Leslie Roy BELL. MC. (Machine Gun Section) Station Overseer, Mudgee, N.S.W. Lieutenant: Richard Henry BLOMFIELD. MC. Grazier, Blue Mountain via Walcha, N.S.W. Lieutenant: 716 Francis Joseph BOURKE. DSO MID. (C Company) Labourer, "Courallie" Beaubon Siding via Wee Waa, N.S.W. Lieutenant: 348 John Percy BRADFORD. Solicitor, Hobart, Tasmania. Lieutenant: 10 Hugh Murray BUNTINE. (A Company) Clerk. Armidale. N.S.W. Lieutenant: 13036 Kenneth John CAMPBELL. M.C. School Teacher, Melbourne, Victoria. Lieutenant: 1405 George Moffatt CARSON. + M.M. Entomologist, Woolwich, Sydney, N.S.W. Lieutenant: 1540 Charles Eric CLARKE. Labourer, Shaggy Creek via Inverell, N.S.W. Lieutenant: 1095 Edgar Aubrey CLARENCE. (D Company) Bank Clerk, Walcha, N.S.W. Lieutenant: 1 Harold James COLE. Driller, North Goulburn, N.S.W. Lieutenant: William Richard COOMBS. (D Company) Survey Draughtsman, Armidale, N.S.W. Lieutenant: 981 Irving Cadell DIGHT. (C Company) Farmer, Casino, N.S.W. 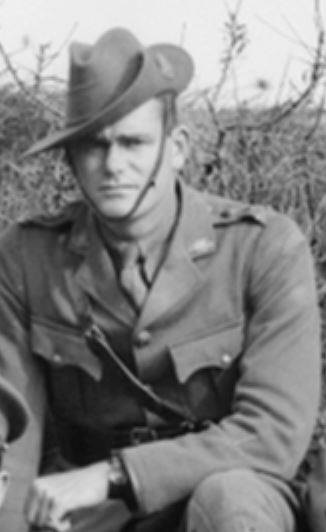 Lieutenant: 60 William Melville DWYER. Station Hand. Mullaley, via Gunnedah, N.S.W. Lieutenant: 746 William Thomas EWING. M.C. Station Overseer. Reddestone Creek Glen Innes, N.S.W. Lieutenant. Alfred Gordon FARLEIGH. + M.C. M.I.D. (A-B Company) Tannery Manager. Arncliffe, N.S.W. Lieutenant: 2559 Robert Horner FLETCHER. M.C. Student, Armidale, N.S.W. Lieutenant: 1408 John GARRETT. Saddler, Sydney, N.S.W. Lieutenant: 379 Norman Francis GOBLE. Victoria. Lieutenant: 8418 Ernest John HARMAN. M.I.D. (D Company) Motor Car Propietor, Sydney, N.S.W. Lieutenant: Henry George "Poddy" HAYMAN. (B Company) Assistant Manager, Newtown, N.S.W. Lieutenant: 3072 Frank Albert HUTCHINGS. M.C. Medical Student from Ashfield, N.S.W. 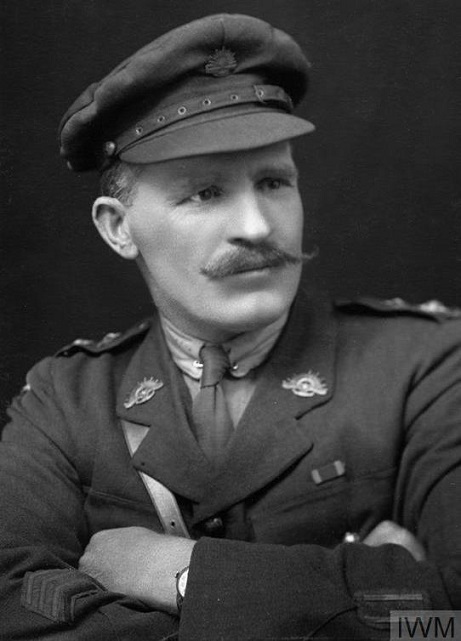 Lieutenant: 800 Rupert Charles JONES. +M.C. Draughsman, Denilliquin, N.S.W. Lieutenant: Albert George KILPATRICK. + Post Master, "Eastwood" Walacia, N.S.W. Lieutenant: 916 "Bert" Robert Cecil KING. M.C. Clerk, Gordon. N.S.W. Lieutenant: 806 Henry KITCHING. M.C. Farmer, Myall Creek, Delungra, N.S.W. Lieutenant: 1860 William Ernest LANG. School Teacher, Horse Arm Creek via Boggabri, N.S.W. Lieutenant: William LAYTON. Jeweller, N.S.W. Lieutenant: 129 Walter Gilligan MASON. (A Company Scout Officer) Carpenter, Armidale, N.S.W. Lieutenant: 697 Louis John MATHIAS.D.C.M & Bar M.M. Labourer, Gunnedah, N.S.W. Lieutenant: 918 William Douglas McKENZIE. M.C. (C Company) Engineer, Armidale, N.S.W. Lieutenant: 1205 William Alexander McLEAN. M.C. Farmer, Black Mountain via Armidale, N.S.W. Lieutenant: 5017 John Graham Antill POCKLEY. + (B Company) Grazier, Yarran Springs, N.S.W. Lieutenant: 749 George Chapman Ward REID. Chemist, Sydney, N.S.W. Lieutenant: 4363 Leslie George King ROSS + (D Company) Law Clerk, Glenn Innes, N.S.W. Lieutenent: 3132 Harold Steinfeld SUSMAN. (A Company) Merchant, Sydney, N.S.W. Lieutenant A W THOMPSON. Blacksmith, Denilliquin, N.S.W. Lieutenant: Keith Powell RUTHERFORD. + Clerk, Gordon. N.S.W. Lieutenant: Walter Willoughby SMITH. M.C. Engineer, North Sydney, N.S.W. Lieutenant: 1263 Edwin Charles Pond THOMAS. (A Company) Station Hand, Glen Innes, N.S.W. 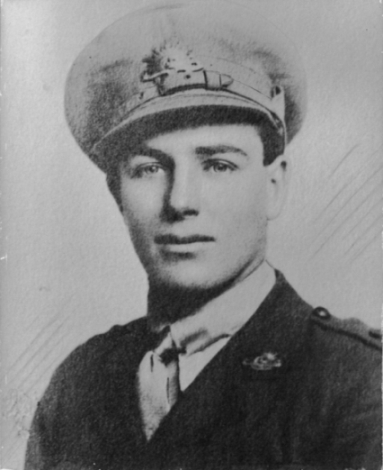 Lieutenant: 559 Edward Allen TURNBULL. (B Company) Station Hand, Barbara, N.S.W. Lieutenant: 356 Leo Aubrey WILSON. Compositor, Parramatta, N.S.W. 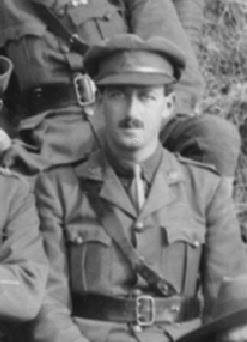 2nd Lieutenant: Cyril John BOWEN. + Bank Accountant, Sydney, N.S.W. 2nd Lieutenant: Leonard Rockley BROWNLOW. + (A Company) University Student, Marrickville, N.S.W. 2nd Lieutenant: 379 Norman Francis GOBLE.+ Richmond, Victoria. 2nd Lieutenant: Albert George KILPATRICK. + Post Master, Walacia, N.S.W. 2nd Lieutenant: 1482 George LIND-TAYLOR. M.I.D (Machine-Gun Section) Grazier, "Terrible Vale" Kentucky, N.S.W. 2nd Lieutenant: 5021 William Rees REYNOLDS. + Farmer, Bondi, N.S.W. Warrant Officer I, Regimental Sergeant Major. 1 Charles Edward FIELDHOUSE. Armidale. N.S.W. Warrant Officer I, Regimental Sergeant Major: 2111 Francis McGRAW. M.C. School Teacher, Five Dock, N.S.W. Warrant Officer II. Samuel NORTHRIDGE. Armidale, N.S.W. Company Sergeant Major: 1510 George Andrew WERNER. + D.C.M (HQ Company) Farm Labourer, Swan Peak, via Elsmore, N.S.W. A Company Quarter Master Sergeant: 1 Albert John ARCHER. + (A Company) Labourer, Tubbambura, N.S.W. HQ Company Quarter Master Sergeant: 352 Robert BROWNLIE. (H.Q Company) Salesman, Glebe, N.S.W. D Company Quarter Master Sergeant: 1125 Robert FAKES. Clerk, (D Company) Stonehenge, Glen Innes, N.S.W. C Company Quarter Master Sergeant: 826 Gregor MacDONALD. (C Company) Merchant, Moree, N.S.W. B Company Quarter Master Sergeant: 506 Herbert Caldwell MACLEAN. (B Company) Grazier, Barbara. N.S.W. Company Quarter Master Sergeant: 504 Hubert George McCROSSIN. Telegraphist, Manilla, N.S.W. Scout Sergeant: 867 Harry SHATWELL. D.C.M (C Company) Farm Labourer, Kaloona, via Inverell, N.S.W. Orderly Room Sergeant: 5075 Frederick Harry QUINLAN. Hotel Manager, Bondi. N.S.W. Sergeant: 4971 Dalgairns Outram ANDERSON. + Accountant, Annandale, N.S.W. Sergeant: 387 Vincent Percy CONOLLY. (A Company) Postal Worker, Uralla, N.S.W. Sergeant: 2047 Thomas Edward DAVIS. Carpenter, South Randwick. N.S.W. Sergeant: 1425 Cyril Russell EATON. M.M. (H.Q. Company) Shearer, Glebe Point, N.S.W. Sergeant: 77 Ernest George GESS. Farmer, Dorrigo, N.S.W. Sergeant: 1162 Cyril Renford HANCOCK. (D company) School Teacher, Oakleigh, Bundarra, N.S.W. Sergeant; 436 Oliver Arnold HARRIS. (B Company) Clerk, Uralla, N.S.W. Sergeant: 95A Joseph HOLM. (M.G. Company) Tram Conductor, Berry, N.S.W. Sergeant: 99 George JARRETT. M.M (A Company) Labourer, Dorrigo, N.S.W. Sergeant: 564 Walter Norman LIND-TAYLOR. + Grazier, "Terrible Vale" Kentucky, N.S.W. Sergeant: 811 Clarence James LLOYD. M.M. Horse Breaker, N.S.W. Sergeant: 3 Edward LOCKYER. Armidale. N.S.W. Sergeant: 1964 Jack Stafford MASON. (B Company) Chemist, Armidale, N.S.W. Sergeant: 517 Horace Smith MACLEAN. M.M. Station Hand, Capertree, N.S.W. Sergeant: 1484 Donald McDONALD. (D Company) Overseer, Burren Junction, N.S.W. Sergeant: 1193 Archibald McLEAN. D.C.M. M.M. Farmer, Sunnyside, Black Mountain, N.S.W. Sergeant: 134 Victor Percy MELVAINE. 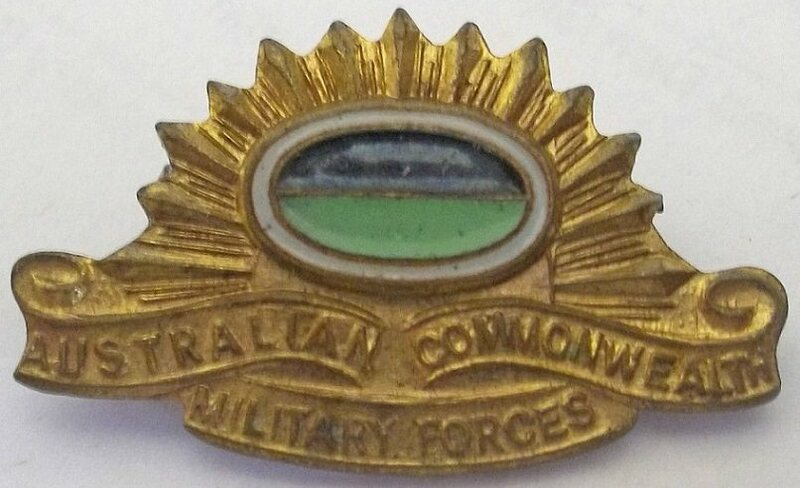 (A company No: 1 Platoon) Sawyer, West End, Uralla, N.S.W. Sergeant: 985 Clement Fairfax MORRISBY. + M.M. Station Hand, Moree, N.S.W. Sergeant: 842 Sidney Raymond NELSON. (C Company) Share Farmer, Kurrajong, N.S.W. Sergeant: 521 Walter Vivian PARTRIDGE. M.M. (A Company) Labourer, Walcha, N.S.W. Sergeant: 853 Joseph Harold PAYTEN. D.C.M. (C Company) Labourer, East Moree, N.S.W. Sergeant: 2193 Herbert George REID. Carpenter, Coonabarabran, N.S.W. Sergeant: 536 Thomas William ROURKE. D.C.M. (B Company) Farmer, "Glenroy" Myall Creek, Bingara, N.S.W. Sergeant: 543 Charles Sidney RUSSELL (B Company) Farm Labourer, Back Plain, Barraba, N.S.W. Sergeant: 2384 Eric George SHELDON @ SCHMUTTER. D.C.M. Draftsman, Armidale, N.S.W. 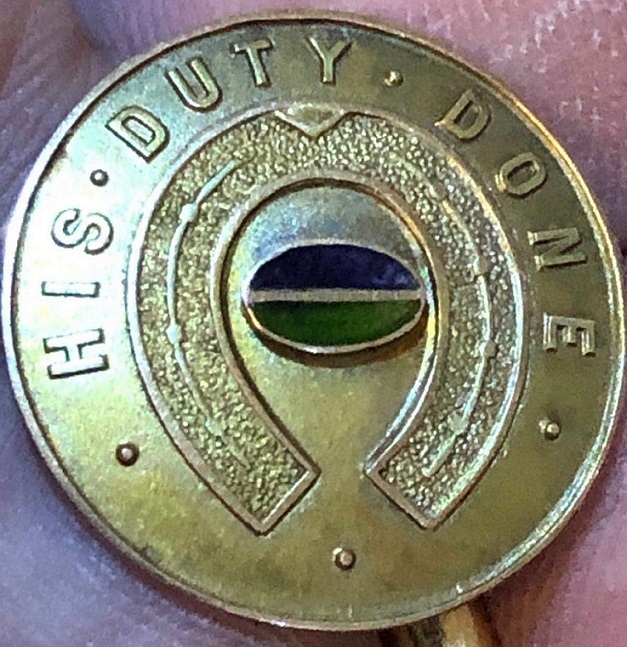 Sergeant: 1299 Walter James TUFREY. (B Company) Farmer, Rocky Creek,via Bingara, N.S.W. Sergeant: 2405 Percy Innis Monkland VEALE. Mechanic, Inverell, N.S.W. Sergeant: 2151 Thomas Clyde WILSON (A company No:1 Platoon) Farmer, "Farracabad" Glen Innes, N.S.W. Temporary Sergeant: 7260 Charles John JAMES. Painter, Barcildine, Queensland. Lance Sergeant: 704 Stanley Joseph BARROW. + (C Company) Farm Labourer, Bellawa Creek, Narrabri, N.S.W. Lance Sergeant: 394 Arthur Harding CARTER. + (B Company) Stock Dealer, Uralla, N.S.W. Lance Sergeant: 471 William Albert LITTLE. Coal Miner, Hillgrove, N.S.W. Lance Sergeant: 2000 Richard Charles MAY. M.M. Dairyman, Richmond, Victoria. Lance Sergeant: 973 William Edward PHIFER. (C Company) Labourer, Kiaora, Ashfield, N.S.W. Lance Sergeant: 940 John REID. Labourer, Emmaville, N.S.W. Lance Sergeant: 161 Thomas Geofrey Edward RUSH. + (A Company) Wardsman, Glen Innes, N.S.W. Acting Lance Sergeant: 220 Alexander William KEITH. M.S.M. (A Company) Farmer, Kialla via Crookwell, N.S.W. Corporal: 2 Edward Phillip AUSTIN. + (A Company) Fettler, Werris Creek, N.S.W. Corporal: 1620A Allan Wentworth BRECHT. M.M. Farmer, Kelvin via Gunnedah, N.S.W. Corporal: 1089 Joseph Henry CARNEY. Labourer, Glenn Innes. N.S.W. Corporal: 752 William Charles DELANEY. + M.M. (C Company) Labourer, Sydney, N.S.W. Corporal: 236 Reginald Clarence EDWARDS. + Labourer, Dorrigo, N.S.W. Corporal: 1432 William John FINNEY. M.M. Labourer, Little Plain via Inverell, N.S.W. Corporal: 5011A Christopher Edward FOWLER. M.M. (C Company) Labourer, N.S.W. Corporal: 1832 Lloyd GAINEY. Farmer, Pallamallawa, N.S.W. Corporal: 245 Archibald GRAY. (A Company No:2 Platoon) Electrician, Wollombi, N.S.W. Corporal: 442 Arthur Bourne HALLORAN. (B Company) Motor Driver, Horton River via Barraba, N.S.W. Corporal: 2068 John Henry HASSALL.+ Clerk of Petty Sessions, Lavender Bay, North Sydney, N.S.W. Corporal: 3069 Henry Dayrell HERDSON. Farmer. Ryde, N.S.W. Corporal: 818 William Herbert MATLEY. (C Company) N.S.W. Railway Fettler, Rowena, N.S.W. Corporal: 884 Amos Theadore REGAN. (D Company) Inverell, N.S.W. Corporal: 1242 George Easter STARK. (D Company No:15 Platoon) Engine Driver, Emmaville, N.S.W. Corporal: 3146 William Arthur WELLS. Shipwright Naval Base, Port Stephens, N.S.W. Corporal: 2155 John Clarence Melville WILLIAMSON. Farmer, Gunnedah, N.S.W. Corporal: 1943 Bertie Meredith WOODHILL. (A Company) Traveller, Richmond, N.S.W. Temporary Corporal: 1244 James SPENCE. D.C.M. Labourer, Niangala via Tamworth. N.S.W. Lance Corporal: 365 William Douglas BOOTH. M.M. (B Company Lewis Gunner) Motor Car Driver, Barraba, N.S.W. Lance Corporal: 1804 John CARROLL. V.C. Labourer, Blackboy Hill. Western Australia. Lance Corporal: 1098 Ralph Fry CLARENCE. (D Company) Station Hand "Newbold Station" Whiporie via Grafton, N.S.W. Lance Corporal: 736 Hector William CLARKE. M.M. Labourer, "Glen Garry" Warialda, N.S.W. Lance Corporal: 48 Robert Glass COOK. (A Company) Sawyer, Athol Wood via Ashford, N.S.W. Lance Corporal: 1803 Thomas COX. D.C.M. Labourer, Coolatah, via Warialda, N.S.W. Lance Corporal: 78 Alfred George GARDNER. + (A Company) Farmer, Manilla, N.S.W. Lance Corporal: 425 William John GOULD. (B Company) Bush Worker, Black Springs, Barraba, N.S.W. Lance Corporal: 429 John Edward HERMAN. (B Company) Labourer, Manilla, N.S.W. Lance Corporal: 1143 Leslie HOBBINS. (D Company) Shearer, Wagainia via Inverell, N.S.W. Lance Corporal: 2073 Claude Henry HOWARD. M.M. Engine Driver, Portland, N.S.W. Lance Corporal: 1410 Lindsay IRVING M.M. (HQ Company) Salesman, Darlinghurst, N.S.W. Lance Corporal: 2170 George McDOUGALL. Coal Miner, Catherine Hill Bay, N.S.W. Lance Corporal: 118 Francis Michael McGRATH. (A Company No:4 Platoon) Shop Assistant, Manilla, N.S.W. Lance Corporal: 54018 William OAKMAN. Carter, Erskinville, N.S.W. Lance Corporal: 1232 Harold Henry PARTRIDGE. 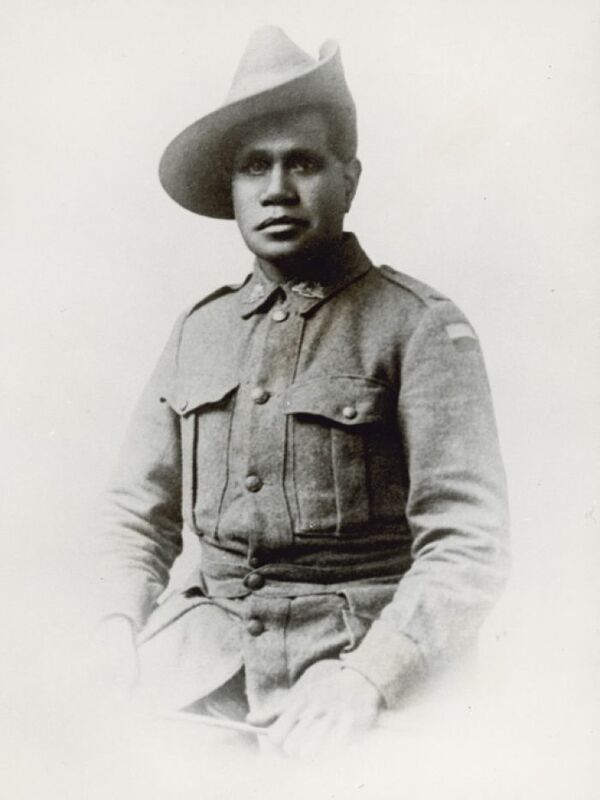 (D Company) Farmer, Niangala via Tamworth. N.S.W. Lance Corporal: 1494 George Harold RAINGER. (A Company Signals) Farmer, Little Plain via Inverell, N.S.W. Lance Corporal: 544 Lionel Eric RANDALL. M.S.M. Grazier, Barraba, N.S.W. Lance Corporal: 5084A Charles Neal RICHARDSON. M.M. & BAR Horse Breaker, Leichardt, N.S.W. Lance Corporal: 1499 Alexander Leonard SOUTHGATE. (Machine Gun Company) Labourer, Inverell, N.S.W. Lance Corporal: 189 Victor Reginald SHALDERS. M.M. (A Company) Labourer, Danersleigh. Western Australia. Lance Corporal: 1497 Andrew Wallace SHEARER. (C Company No:10 Platoon) Grazier, Avondale, N.S.W. Lance Corporal: 1500 Daniel George SMITH. Labourer, Moree, N.S.W. Lance Corporal: 219 Theodore SMITH. D.C.M (A Company) Foreman Stevadore, Newtown, N.S.W. Lance Corporal: 1695 Charles John STEEL. M.M. Lance Corporal: 896 Malcolm John WALLIS. M.M. Lance Corporal: 5106 Alpheus Eric WENBAN. + Postal Assistant, Millthorpe via Orange, N.S.W. Lance Corporal: 2197 Victor Thomas WHATLEY. Draper, Bathurst, N.S.W. Lance Corporal: 911 John Thomas WYNN. + (C Company) Farm Labourer. Pallamallawa, Moree. N.S.W. Acting Lance Corporal: 220 Alexander William KEITH. Farmer, Kialla via Crookwell, N.S.W. Private: 354 Ivan William ALLSOP. + Labourer, Quirindi, N.S.W. Private: 353 Norman John ALLSOP. Labourer, Quirindi, N.S.W. Private: 2516 Albert Alexander ANDERSON. Junior Railway Porter, Tenterfield, N.S.W. Private: 1963 John Stanley ANTAW. (C Company) Drover, Boggabri, N.S.W. Private: 2027 Charles William ANTAW. Labourer, Coonabarabran. N.S.W. 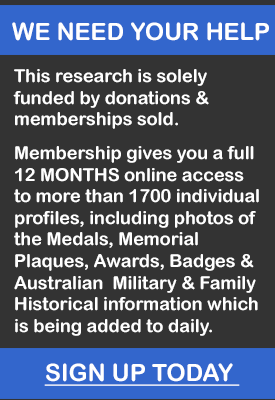 Private: 2029 Lambert Pearce ARCHIBALD (B Company) Farmer, Hillgrove via Armidale, N.S.W. Private: 3007 William Arnold ARKINS. +School Teacher, South Cowra, N.S.W. Private: 1078 William Henry BACON. + (D Company) Labourer, Inverell, N.S.W. Private: 2521 Percy Maurice BAILEY. (Headquarters Company Signals, ex No: 1 Platoon) Labourer, Manilla, N.S.W. Private: 3268 Ernest BARBER. Painter, Salt Pan, Bankstown. N.S.W. Private: 1441 George Edgar BARR. D.C.M. N.S.W. Private: 2532 Walter BELL. Miner, Emmaville, N.S.W. Private: 17 Richard Charles BEZZANT. + (A Company) Farmer, "Bushgrove" Deepwater, N.S.W. Private: 2275 George Victor BLOM. Painter, Marrickville, N.S.W. Private: 2528 Richard Thomas BOURNE. + Farm Hand, Inverell, N.S.W. Private: 710 Frederick George BOYS. (C Company) Labourer, Inverell, N.S.W. Private: 2427 Thomas Albert BRADLEY. + Tailor, Narrabri, N.S.W. Private: 711 Walter Edward BRIGGS. (C Company) Labourer, Bukkulla Village via Inverell, N.S.W. Private: 376 Edgar Auston BROOKS. (B Company No: 6 Platoon Section 8) Labourer, Bingara, N.S.W. Private: 1512 Edwin James Harold BROWN. (D Company) Coal Miner, Inverell, N.S.W. Private: 2285 Frederick BROWN. (A Company) Shearer, Inverell, N.S.W. Private: 358 Robert Aubery Roland BROWN. Contractor. Cecil Plain via Moree, N.S.W. Private: 53928 Robert Irving BUTTERWORTH. Private: 1527 Harry BRYANT. + Farmer, Inverell, N.S.W. Private: 3270 Harold BURTON. (C Company) Rubber Worker, Enfield, N.S.W. Private: 2277 Albert Thomas BYRNE. Bottle Washer, Moree, N.S.W. Private: 718 Arthur BYRNE. M.M. (C Company) Jockey, East Moree, N.S.W. Private: 2045 Adam CAMPBELL. Engine Driver, Narrabri, N.S.W. Private: 2768 John Leslie CAMPBELL. Overseer, Bourke, N.S.W. Private: 49 Percy Clarence CANT. + (A Company) Miner from Copeton, N.S.W. Private: 2287a Thomas CARLYON. (D Company) Labourer, Surry Hills. N.S.W. Private: 1087 George Vivian CARNEY. (D Company) Farm Labourer, Bald Knob, Glenn Innes. N.S.W. Private: 1100 Arthur CARPENTER. M.M. Labourer from Tubbamurra via Llangothin, N.S.W. Private: 725 John Henry CARTER. (C Company) Labourer, Boggabri, N.S.W. Private: 726 George CARTWRIGHT. V.C. (C Company) Labourer, Elsmore via Inverell. N.S.W. Private: 2823 Robert CASEY. M.M. Private: 1974 John Ernest CHAPMAN. + (A Company) Gold Miner, Bismoth Mine, Torrington, N.S.W. Private: 2296 Henry CLARKE. M.M...N.S.W. Private: 46 Benjamin CLAVERIE. (A Company) Labourer, Uralla, N.S.W. Private: 396 Lawrence Joseph CLIFTON. M.M. Private: 2538 Bert COOPER. (C Company) Farmer, Jerseyville, Macleay River, N.S.W. Private: 2541 Wellington COOPER. + (C Company No:10 Platoon) Farmer, Jerseyville, Macleay River, N.S.W. Private: 743 Arnold George COPPOCK. (C-A Company) Labourer, Pallamallawa via Moree, N.S.W. Private: 1091 Walter Laurence COUGHLIN. Labourer, Walcha, N.S.W. Private: 1816 Herbert DAVIDSON. Dogman, Rozelle, N.S.W. Private: 1817 George DENNY. + (D Company No:15 Platoon) Richmond, N.S.W. Private: 2553 William Patrick DEVLIN. (D Company) Labourer, Armidale, N.S.W. Private: 2303 James Victor DIXON. Boilermaker's Assistant (Government Dockyard, Newcastle, N.S.W.) Stockton, N.S.W. Private: 2435 Robert DOWNES. Under Construction. Private: 3821 James DOUGLAS. (A Company) Labourer, Sandringham, N.S.W. Private: 401 Herbert Ernest Charles DOUST. + (B Company) Farmer, Wellingrove via Glen Innes, N.S.W. Private: 2776 William DRISCOLL. Station Hand, Wilcannia, N.S.W. Private: 759 Alexander DURRANT. (C Company) Farmer, Warragrah, Boggabri, N.S.W. Private: 1112 Martin ECKERT. + (D Company) Grazier, Barraba, N.S.W. Private: 240 Robert Arthur FIELD. (A Company No:2 Platoon) Farm Labourer, "Niara" Glen Innes, N.S.W. Private: 2308 Michael Alfred FRANCIS. (B Company) Labourer, Moree, N.S.W. Private: 1833 Athol Albury GAINEY. Labourer, Gravesend, N.S.W. Private: 2563 Henry Albert GAINEY. Farmer, Gravesend, N.S.W. Private: 1831 Cyril Thomas GARDNER. Farmer, Borah Crossing, Manilla, N.S.W. Private: 419 Frank Pearson GARNET. (B Company) Clerk, Sydney, N.S.W. Private: 2161 Thomas Henry GILL. Coal Miner, Catherine Hill Bay, N.S.W. Private: 2160 William Thomas GILL. Clipper, Catherine Hill Bay, N.S.W. Private: 5024B Albert John GREEN. (C Company) Miner, Hargraves, N.S.W. Private: 5025A George Henry GREEN. (C Company) Labourer, Hargraves, N.S.W. Private: 2566 William James GRIFFITHS. + (B Company) Labourer, Stockton, N.S.W. Private: 2200A James HAGAN. Farmer, Barraba, N.S.W. 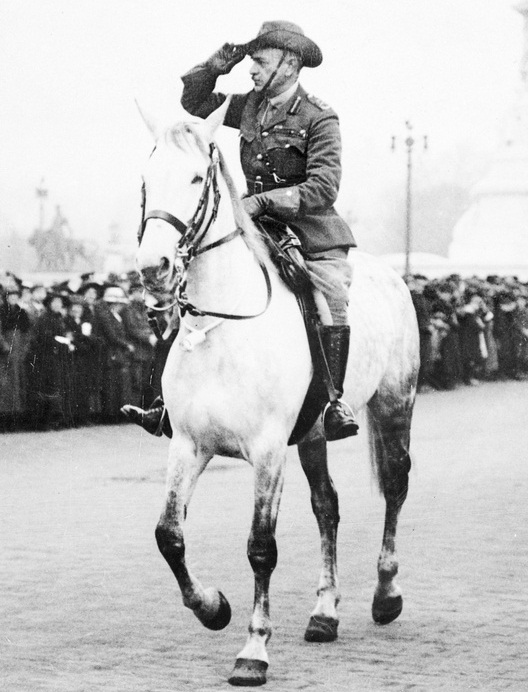 (Transferred from 1st Australian Light Horse) Committed Suicide 1925. Private: 1136 William Namoi HALL. (D Company Sniper) Labourer, Manilla, N.S.W. Private: 2335 Henry Charles HALLIDAY. + Labourer, Bolivia, N.S.W. Private: 5026A Joseph Edwin HALLS. (C Company) Labourer, Clerkenwell, England. Private: 448 Audrey Erie HAPGOOD. Farmer, "Loch Leven" Inverell, N.S.W. Private: 1141 David Drummond HARPER. (D Company) Labourer, Oakley, N.S.W. Private: 1150 Charles Archibald HARRIS. + (D Company) Labourer, Armidale, N.S.W. Private; 2324 Edgar Henry HARRIS. (B Company) Trade Grocer, Uralla, N.S.W. Private: 438 Herbert William HARRIS. (B Company) Carrier/Labourer, Pine Hill via Bingara, N.S.W. Private: 2787 William HARRISON. Labourer, Goulburn, N.S.W. Private: 432 Henry Herman HARTOG. (B Company) Labourer, Bingara, N.S.W. Private: 1144 Frederick HATCH. (D Company) Labourer, Manilla, N.S.W. Private: 2332 Alfred Holland HAYNES. (B Company) Labourer, Mountain Valley, Narrabri, N.S.W. Private: 2337 James HICKEY. Grazier, Bungulla via Tenterfield, N.S.W. Private: 2323 William Henry Alfred HINDS. (B Company) Carpenter, Moree, N.S.W. Private: 2165 Ralph HOPE. + (A Company No:2 Platoon) Painter, Broadmeadow via Newcastle, N.S.W. Private: 1167 Colin Maxwell JACKSON. (D Company) Labourer, Wandsworth, N.S.W. Private: 3082 John JENSEN. D.C.M. M.M. (D Company) Farmer, Wasley's South Australia. Private: 1853 Arnold Sydney JOHNSTON. + Labourer, Boomi, N.S.W. Private: 459 Norman Hall JOHNSTON. (Section:11 No:7 Platoon) Farmer, Oakleigh via Wee Waa, N.S.W. Private: 453 Edward Bliss JOLLY. (B Company) Labourer, Quirindi, N.S.W. Private: 3420 William Albert KAYLOCK. Carpenter, Albury, N.S.W. Private: 2341 William "Bill" KEARSEY. Coach Builder, Glen Innes, N.S.W. Private: 220 Walter John KELLETT. (A Company) Labourer, Moree, N.S.W. Private: 2210 Joseph Richard KELLY. M.M. (B Company) Labourer, Bingara, N.S.W. Private: 5060 Harold Hungerford KILPATRICK. (B Company No:8 Platoon) Junior Field Assistant, Watsons Bay, N.S.W. Private: 2083 Charles Leo KING. Labourer, Narrabri, N.S.W. Private: 467 George Thomas KING. + (B Company No:8 Platoon) Labourer, "Bobby Whitlow" Bingara, N.S.W. Private: 466 Reuben Herbert KING. (B Company No:8 Platoon) Farmer, "Bobby Whitlow" Bingara, N.S.W. Private: 465 William Edwin KING. (B Company No:8 Platoon) Labourer, "Bobby Whitlow" Bingara, N.S.W. Private: 469 Walter KIRWIN. (B Company No:8 Platoon) Labourer, Walcha, N.S.W. Private: 1569 David Walter KNELLER. Horse Breaker, "Burrington Station" Gurley Siding, N.S.W. Private: 5043 Albert Francis LANE. M.M. (D Company) Storekeeper, Bennett Springs, N.S.W. Private: 1862 Frederick John LAW. Labourer, Boomi, N.S.W. Private: 2167 Arthur Henry LEAN. (D Company) Blacksmith Striker, Glenthorne, Taree. N.S.W. Private: 2094 George LEE. (A Company No:2 Platoon) Striker, Merrylands, N.S.W. Private: 475 John LITTLE. + (B Company) Miner, Hillgrove, N.S.W. Private: 1671 Thomas LOWREY. M.M. Inverell, N.S.W. Private: 2938a Francis James LLOYD. (D Company) Jugiong, N.S.W. Private: 111 William John LOBSEY. M.M. Labourer, Willow Tree, N.S.W. Private: 2922 Victor Halold MACKIE. Clerk, Cundal, N.S.W. Private: 2599 Isaac MAHAFFEY. Apprentice Motor Mechanic, Moree, N.S.W. Private: 5070 John Patrick MAHER. Fishmonger, North Sydney, N.S.W. Private: 3408 Reginald William MALLIGAN. + (B Company No: 7 Platoon) Labourer, West Tamworth, N.S.W. Private: 5073 Frederick Singelton MARTIN. + (A Company No:2 Platoon) Chaff Cutter, Orange, N.S.W. Private: 494 Mister Bert MASON. + (B Company Bateman) Labourer, Hawkins Creek, Barraba, N.S.W. Private: 1983 Alan James MATHER. + (No: 14 Platoon, D Company) Grazier, "Roslyn" Inverell, N.S.W. Private: 1961 William McCAFFERTY. (D Company) Labourer, "Bellmore" Drinkwater via Kempsey, N.S.W. Private: 828 Roy McCUMSTIE. (C Company) Farm Hand, Edenvale via Narrabri, N.S.W. Private: 2169 John McDOUGALL. Coal Miner, Catherine Hill Bay, N.S.W. Private: 2608 Leslie McGUINNESS. (A Company) Dental Mechanic. Kempsey, N.S.W. Private: 2357 Harold Allan McNAMARA. + Carpenter, Uralla, N.S.W. Private: 2359 Alexander McRAE. Station Hand, Wollomombi, via Armidale, N.S.W. Private: 2360 Kenneth McRAE. + Grazier, Wollomombi, via Armidale. N.S.W. Private: 257 Roderick Donald McRAE. + Farmer, Wollomombi, via Armidale, N.S.W. Private: 2182 George MEREDITH. (A Company) Navy, Bankstown, N.S.W. Private: 1487 George MILLER. (A Company) Coal Miner, N.S.W. Private: 1582 Robert MILLER. Motor Driver, Warialda, N.S.W. Private: 1877 Robert Charles MILLER. (D Company) Clothier, Armidale. N.S.W. Private: 2717 James MILLINGTON. + (B Company) Orchardist, North Richmond, N.S.W. Private: 2591 James Alexander MITCHELL. + Shearer/Labourer, Armidale, N.S.W. Private: 968 Claude Edwin MOORE. MID (C Company) Grazier, Ashford, N.S.W. Private: 1874 James MORRISON. (C Company) Labourer, Barraba, N.S.W. Private: 5136A Thomas David MORTON. D.C.M. (D-C Company) Sniper, N.S.W. Private: 1200 Alfred Henry MULHOLLAND. (D Company) Labourer, Armidale, N.S.W. Private: 136 Richard MURPHY. (A Company) Jockey, Glen Innes. N.S.W. Private: 2119 William Colin NAGLE. (C Company) Glebe, N.S.W. Private: 1890 John "Jack" NOLAN. Draper, West Narrabri, N.S.W. Private: 1217 Jeremiah NOLAN. (D Company) Labourer, Tenterfield, N.S.W. Private: 3109 Felix NOONAN. M.M. Labourer, Mudgee, N.S.W. Private: 2371 Oscar Leslie OBERG. (No: 13 Platoon, D Company) Labourer, Inverell, N.S.W. Private: 2623 Daniel George ORMAN. + Labourer, Narrabri, N.S.W. Private: 54020 Douglas OASTLER. Grocer, Balmain, N.S.W. Private: 852 Ernest Albert PAUL. (C Company) Laborer, Coonabarabran, N.S.W. Private: 517 Leslie PATTERSON. (B Company) Labourer, Tamworth, N.S.W. Private: 851 William Arthur PATTERSON. (C Company) Labourer, Inverell. N.S.W. Private: 1995 William PETTIT. (A Company) Grazier, "Red Range" Glen Innes, N.S.W. Private: 972 Oswald Henry PHIFER. (C Company) Grazier, Ashfield, N.S.W. Private: 1277 Alfred Henry PITKIN. (D Company) Farmer, "Alton Farm" Tenterfield, N.S.W. Private: 4331A Bernard Theodore POLLARD. 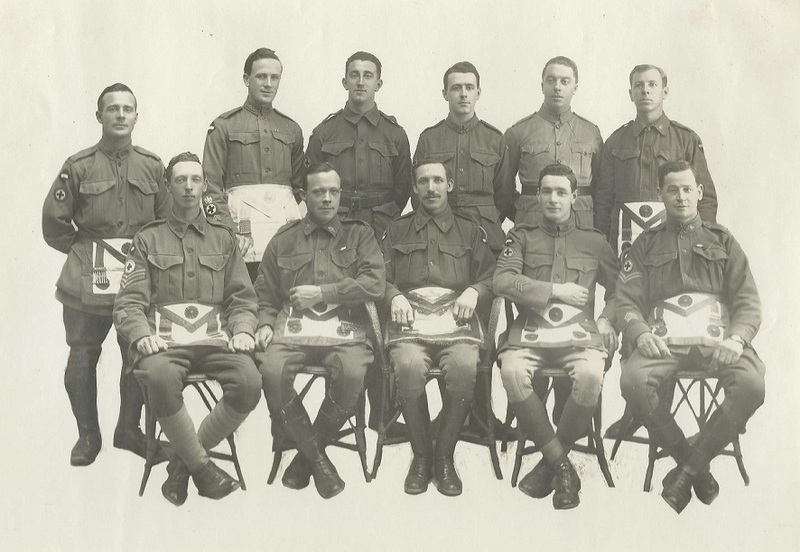 (B Company No:VI Platoon) Thornleigh, N.S.W. Private: 3354 John Thomas Rainford PRICE. + Farmer, Armidale. N.S.W. Private: 857 John James PYNE. Labourer, Gunnedah, N.S.W. Private: 2432 James ROBERTSON. (C Company) Farmer, Arrawatta, via Inverell. N.S.W. Private: 3164 Andrew ROOS. Labourer, Tenterfield, N.S.W. Private: 2970 Robert Alexander ROOS.+ Labourer, Tenterfield, N.S.W. Private: 1236 Frederick Arthur ROPER.+ (D Company) Labourer, Walcha, N.S.W. Private: 862 Edgar Halley ROSE. (C Company) Boundary Rider, Narrabri, N.S.W. Private: 1965 John Joseph ROSS. (A Company, No: 1 Platoon) Labourer, "Furracabad" Glen Innes, N.S.W. Private: 165 Sydney Richard ROWE. + (A Company) Baker, Hillgrove, N.S.W. Private: 3690 William ROWE. (D Company) Salesman, Darlinghurst, Sydney, N.S.W. Private: 2895 Frank RUTHVEN. (B Company) Labourer, Glen Innes, N.S.W. Private: 1642a Joseph Herman RYAN. Labourer, Walcha, N.S.W. Private: 866 George Frederick SEAGROTT. D.C.M. (C Company) Miner, Gilgai via Inverell, N.S.W. Private: 173 Thomas John SCHAEFER. + (A Company, No: 1 Platoon) Grazier, Uralla, N.S.W. Private: 3129 Harold Thomas SELL. + (D Company) Engineer, Grandville, N.S.W. Private: 552 Frederick SHERWOOD. (B Company) Motor Car Driver, Barraba, N.S.W. Private: 870 James SINTON. Share Farmer, Boggabri, N.S.W. Private: 181 Harry James SLY. ( A Company, 4 Platoon) Labourer, Dorrigo, N.S.W. Private: 3381 John Norman SMITH. Wheat Agent, Narrandera, N.S.W. Private: 950 William Stanley SMITH. + (C Company, No: 10 Platoon) N.S.W. Private: 3379 Charles Alexander SUMMERRELL. Brick Maker, Camperdown, N.S.W. Private: 882 George Thomas TAYLOR. + (No:11 Platoon, D Company) Shearer, Narrabri, N.S.W. Private: 1924 Herbert Leslie TAYLOR. (D Company) Blacksmith, Boggabri, N.S.W. Private: 6399 Alfred TIVEY. + Selector, Bundanoon, N.S.W. Private: 1261 Alfred TODD. (D Company) Labourer, Black Mountain, N.S.W. Private: 2143 Harry Lancelot TODD. 33rd Battalion. Confectioner, Surry Hills N.S.W. Private: 3386 William Augustine TODD. Raymond Terrace, N.S.W. Private: 884 Bertie Robert TRIBE. (C Company) Carrier, Narrabri, N.S.W. Private: 885 Frederick Richard TRIBE. + (C Company) Labourer, Rowena, N.S.W. Private: 203 Vivian Walter VEALE. Carpenter, Armidale, N.S.W. Private: 3400 Cecil Ernest WALSH. (B Company) Grazing Overseer, Willoughby, N.S.W. Private: 2932 Joseph WALSHE. Stock Agent, Wellington, N.S.W. Private: 3155 William Patrick WARE. (HQ Company) Blacksmith, Euongillie via Junee, N.S.W. Private: 5105 Bertram Aubery WENBAN. Engineering Mechanic, Millthorpe via Orange, N.S.W. Private: 956 Richard Alexander WHITE. (C Company) Farm Labourer, Balmain, N.S.W. Private: 2090 Howard Joseph WHITEMAN. + (B Company) Grazier, Narrabri, N.S.W. 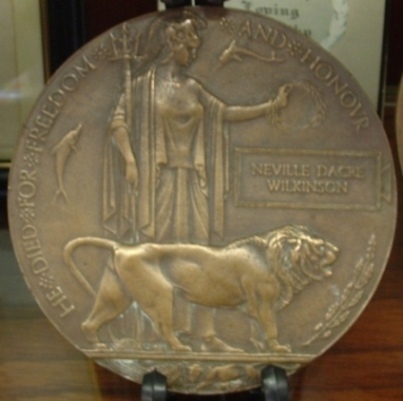 Private: 2916 Neville Dacre WILKINSON. + (A Company, No: 2 Platoon) N.S.W. Private: 213 Andrew James WILLIAMS. (A Company) Ironmonger, Warialda, N.S.W. Private: 3399 Ernest WILLIAMS. Labourer, Gulargambone, N.S.W. Private: 1276 Hampton WILLIS. + (D Company Sniper) Grazier. 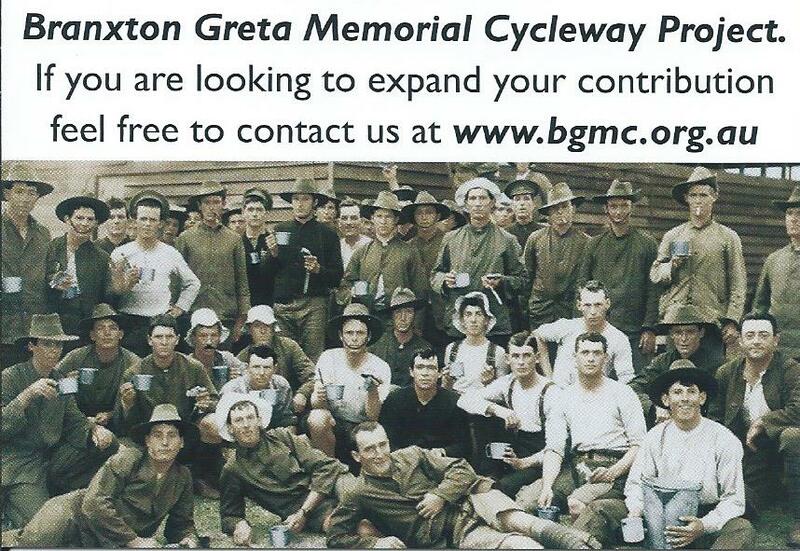 Eastern Plains, Guyra, N.S.W. Private: 2686 William John Cameron WILSON. Farmer, Rose Bay, N.S.W. Private: 1940 Thomas WOLFE. Coal Miner, Armidale, N.S.W. Private: 1977 Sydney Clifford "Pretty" WOODHAM. (C Company) Labourer, Burren Junction, N.S.W. Driver: 1411 Keith IRVING. (HQ Company) Postal Official, Wagga Wagga, N.S.W. Driver: 3152 George William Basil McCONACHY. (HQ Company) Motor-Driver, Holbrook. N.S.W. Senior Cadet: Alexander William AUBREY. (Pre WW1) Biographic Operator, Newtown, N.S.W.